Home » »Unlabelled » Why did Fox News punish Judge Jeanine? Praise Omar? Why did Fox News punish Judge Jeanine? Praise Omar? 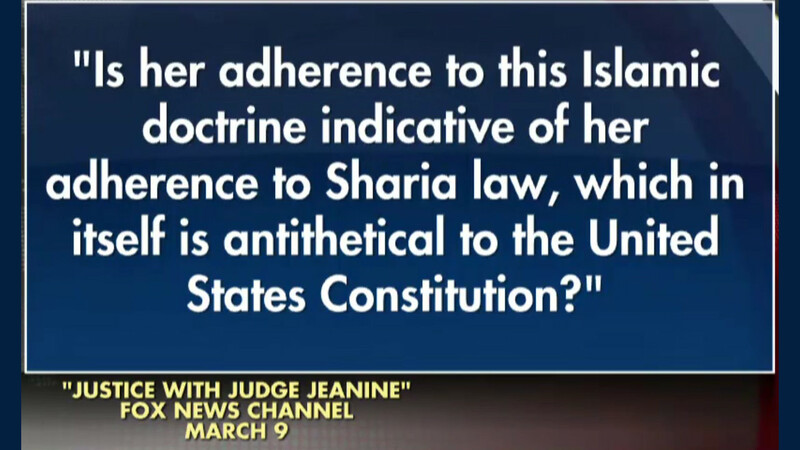 DAILYKENN.com -- "Judge" Jeanine Pirro, the daughter of Lebanese parents, was pulled from Fox News after noting the obvious: Rep. Minnesota Democratic Rep. Ilhan Omar wears a hijab in compliance with Islamic law "which in itself is antithetical to the United States Constitution." Her show was apparently suspended; at least temporarily. It appears Fox News is condescending to pro-Islamic sentiment in the days after an over-the-top patriot shot up a mosque in New Zealand, killing at least fifty Muslims. Donald Trump voiced his support for Pirro, telling the network to bring her back. Pirro later emphatically asserted that she did not call Omar anti-American as accused. However, sharia law is the epitome of anti-Americanism and adherents to the ideology should be identified as traitors who embrace a world view that is a treasonous to American traditional values. Ignored by the media are the 881 people of color who were killed by Islamic hate groups in February, 2019. Another 369 people of color were killed by Islamic hate groups the first 15 days of March, 2019. 494 people of color were injured. You may contact Fox News at 1 (888) 369-4762 or on Facebook at https://www.facebook.com/FoxNews. We assume the show was pulled due to pressure from advertisers who were, in turn, pressured by far-left activists. "A Fox spokesperson says, ‘We are not commenting on internal scheduling matters’ and yet, without some public explanation of why the show was pulled – it certainly looks like a suspension," Kurtz said during Sunday's broadcast. "Pirro’s remarks, which were unfortunate, sparked a furor."